Dr. Levine grew up in Massachusetts and attended Colby College in Maine for her undergraduate degree. She then moved to Madison, WI, and received her Doctor of Veterinary Medicine from the University of Wisconsin School of Veterinary Medicine. 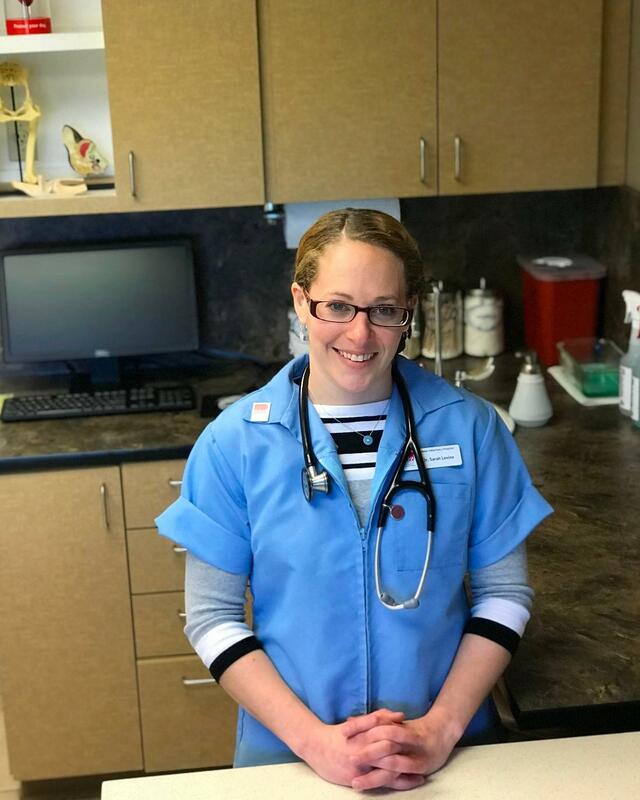 She continued her veterinary education by completing a one year rotating small animal internship at VCA Alameda East Veterinary Hospital in Denver. Prior to joining the team at Mesa, Sarah worked at small animal emergency hospitals in the Denver and Boulder areas. While she enjoys all aspects of the wide scope of veterinary medicine, her special interests include Emergency and Critical Care, Neurology and Internal Medicine. Outside of veterinary medicine, Sarah takes advantage of living in Colorado and can usually be found in the mountains. She spends most of her time rock climbing and hanging out with her two cats, Bingley and Sven.